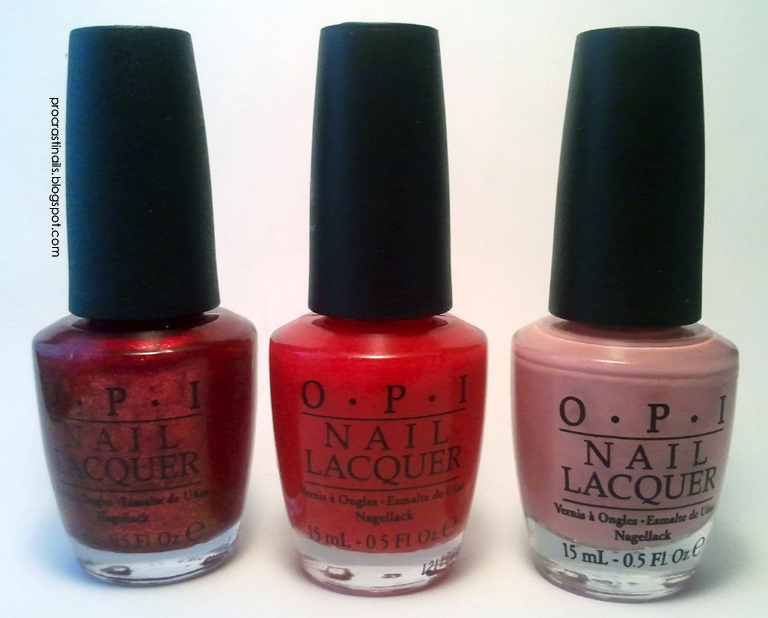 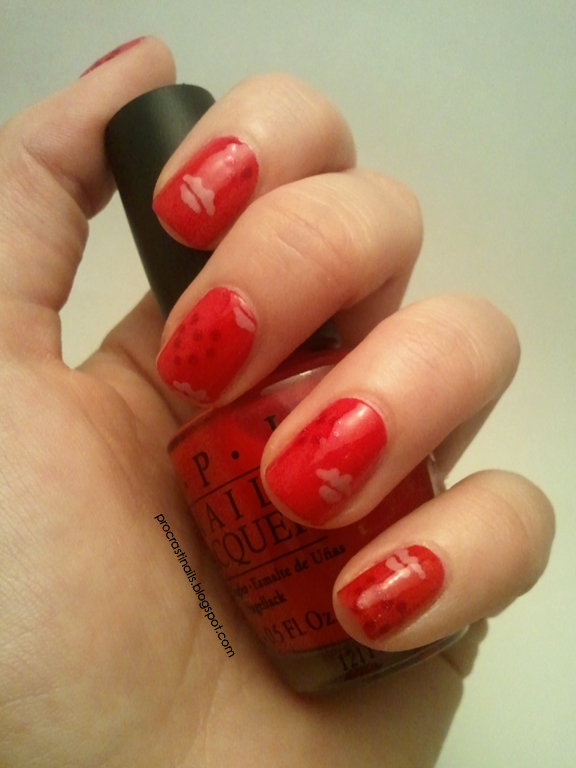 OPI Valentine's Day Mani with Too Hot Pink To Hold 'Em! 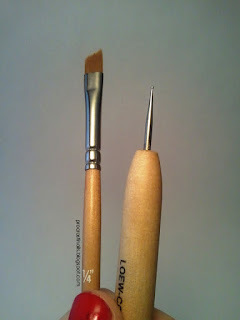 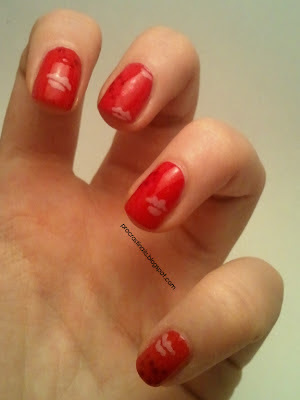 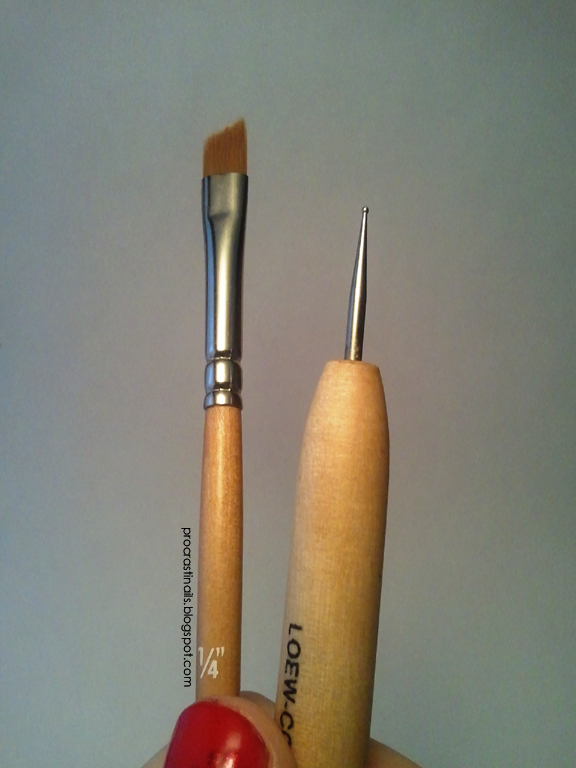 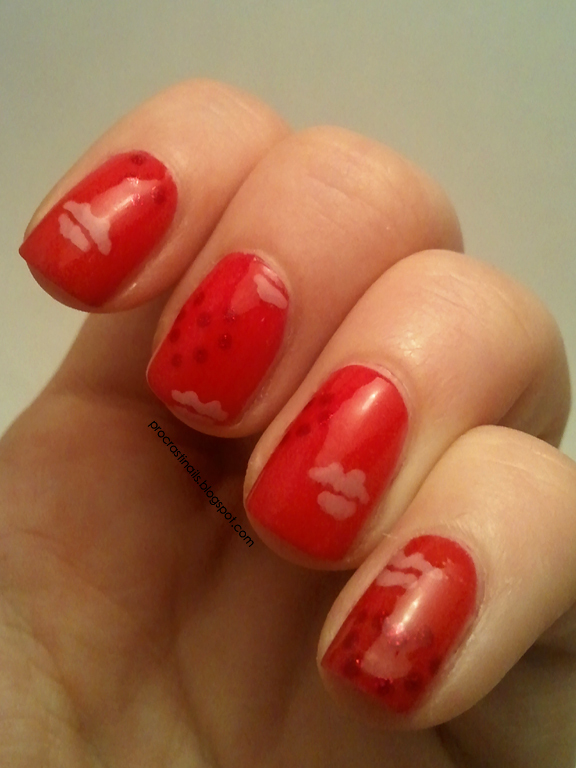 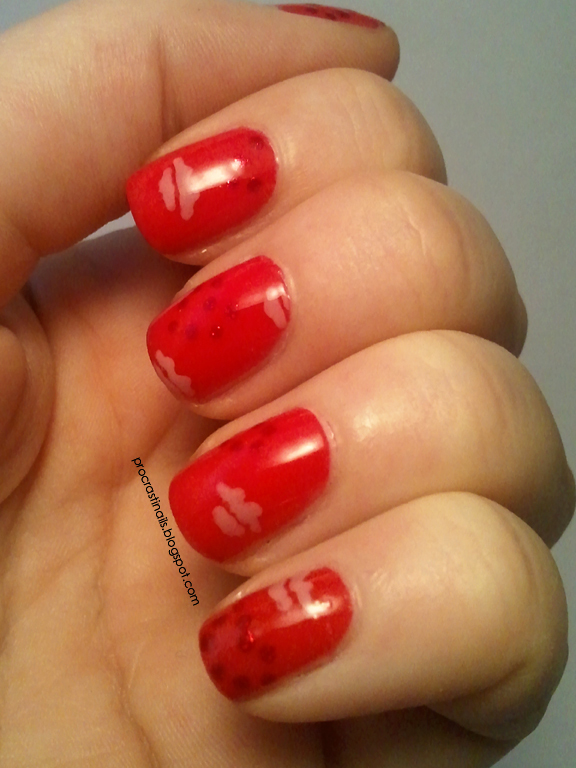 I did the lips free-hand with the same small dotting tool I used for the hearts. 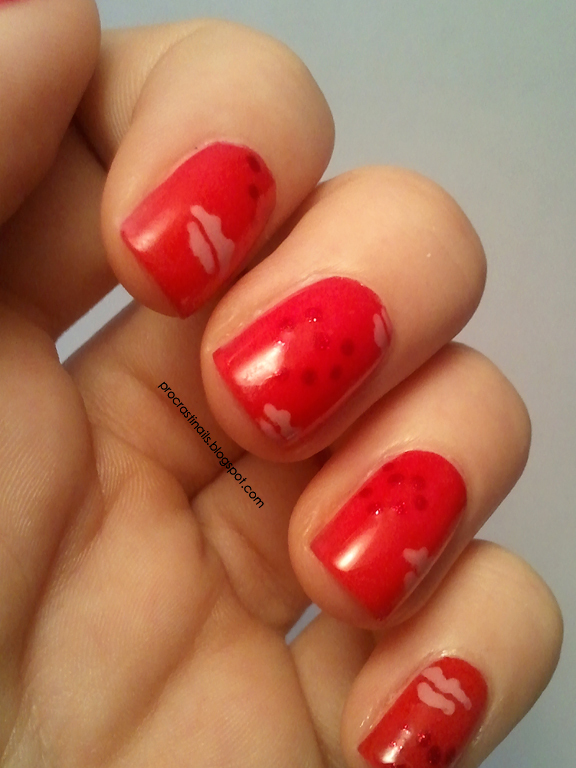 I did two dots close together and connected them and sweeped out a bit at the sides for the top lips, and did a dot in the middle and swept out to the sides again for the bottom lips. It was pretty easy!